For about almost 14 years now, I've been reported on Google algorithm updates. We've been through different levels of communication with Google regarding these updates. Now we are back to a point where the only changes Google is communicating are major indexing issues, like the mobile first index and such. 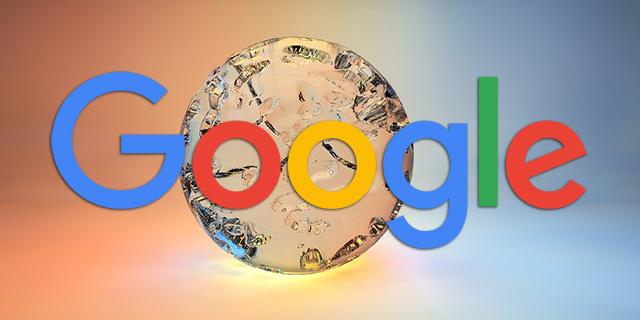 Google has not confirmed officially any search quality or spam algorithms in a long long time. On one hand, I miss the confirmations, on the other hand, now Google mocks us with their "we change things all the time" line. Of course they do, I write 5 stories a day on this site, so I change this site all the time too! Kristine Schachinger put it well with some of the frustration around the lack of communication. So I asked John Mueller of Google about this specifically in a hangout at the 37:34 mark asking "are you guys ever going to confirm algorithm updates in the future? Back in the day, Matt Cutts use to be like yea, this update effected 1.3% of search queries. Matt Cutts retired, you guys stopped doing that." John, and maybe rightly so mocked me saying "yea, we should just keep asking Matt, maybe he knows?" But then added "I suspect we will" communicate more algorithm changes in the future. I think there is some algorithms that definitely make sense to highlight to webmasters. There are a lot of things, at least recently where when I look at what is actually been happening on our side, we are basically just trying to improve the quality and the relevance of the search results and there is not really anything specific that a web site should be doing to change that. Espesially when it comes to algorithmic changes where there is something where the webmaster can do to help their site, that is something we definitely want to highlight. I suspect that we will have at least some algorithms that we announce. I think because we make so many algorithm changes all the time, it is hard for us to announce all of them. But some of them we will definitely try to announce and I think that also helps webmasters to figure out what they could be doing differently. Q: Do you see that happening any time soon? Or you have no idea? A: It really depends on what is changing. So the mobile first indexing stuff is definitely something we want to talk about when we get closer. Similar changes where we had something that effected speed, we would love to talk about that because that is something you can actually work on with your web site and if you improve things in that regard, it could help your rankings and that could help your users as well. So that is kind of like everyone wins out of talking about that. Q: What about on the spam side or the quality side? From the quality side, I think it might depend, I don’t know. The spammy side is probably almost easier. That is probably something where we can say this is an abusive thing where we seen in the past which is kind of problematic and if you’ve been doing it or if your previous SEO has been doing it for your web site then that is something you might want to clean up and here is how to do that. I think that’s kind of a natural match there. Honestly, I think the days are done for the level of communication about search quality updates. We don't have someone like Matt who is at the table approving these algorithm changes to be effectively able to communicate this updates to us. At least right now. It is a shame - but we can keep tracking them ourselves.